Whales live only in water, and tend to stay where it is warmer. This is why you will find them along the coasts during the winter months. They migrate to other regions so they can keep their body temperatures high enough. Some of the information about where whales are distributed though will be surprising to you. 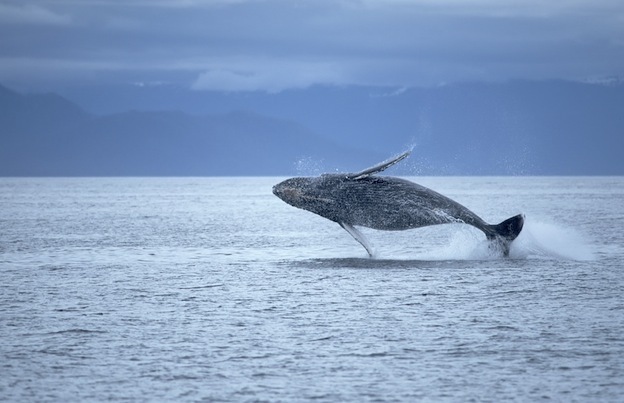 While many species of whales only reside in one area of these waters. Some people believe they only exist in the oceans but that isn’t correct. They also don’t believe that these mammals will reside where it is very cold. Most of the larger giant whales do live in areas that are cold. This includes the artic. It is the larger ones that are here due to the volume of blubber they have to help with their body temperatures. You will find that there are subdivisions of these whale habitats in the Artic. If you only see one of them though you may assume that those are the behaviors of all in the area. This is why there is plenty of confusion out there about such aspects of where whales live. You will find that some of them live off shore where there isn’t any ice. They go deep enough into the waters as that will offer them more warmth than the areas that are dense and have ice on the top. If you are interested in observing certain types of whales, you can conduct some research online. As you are able to identify where they live, you will be able to see them and their natural habitat. If they live deep in the waters though you may have to settle for watching them during the migration process. Researchers that track the whale habitat and distribution though have found some changes that worry them. Many of these whales are leaving their natural habitat. This is due to climate changes from global warming, humans being in their natural locations in boats, military operations, and even the fact that their food sources are becoming scarce in some areas. With the numbers of some of the species of whales at very low numbers, everything is being done to keep them in a natural habitat. Efforts are also in place to help with the regulation of their distribution. Even those in captivity are given a location to reside that is very common to what they would have on the outside. This is done to help reduce stress levels. It is also done in an effort to hopefully one day release some of them back into the wild.